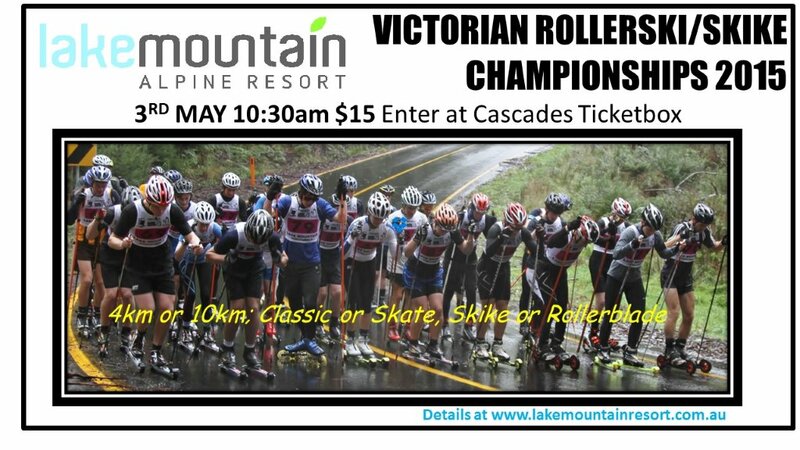 The 2015 Victorian Rollerski Championship is on this Sunday May 3 at Lake Mountain. All skill levels and modes of rolling are catered for with 4km and 10km events and categories for Classic, Freestyle, Skike and Rollerblade. Entries are available at Cascades Ticket Box on the day before 10:00am. Start time is at 10:30am; 10km from the ticket box and 4km from Arnolds Gap. See below for Kat Paul’s latest post from the Lake Mountain Ambassador Program weebly blog (originally posted on April 9). 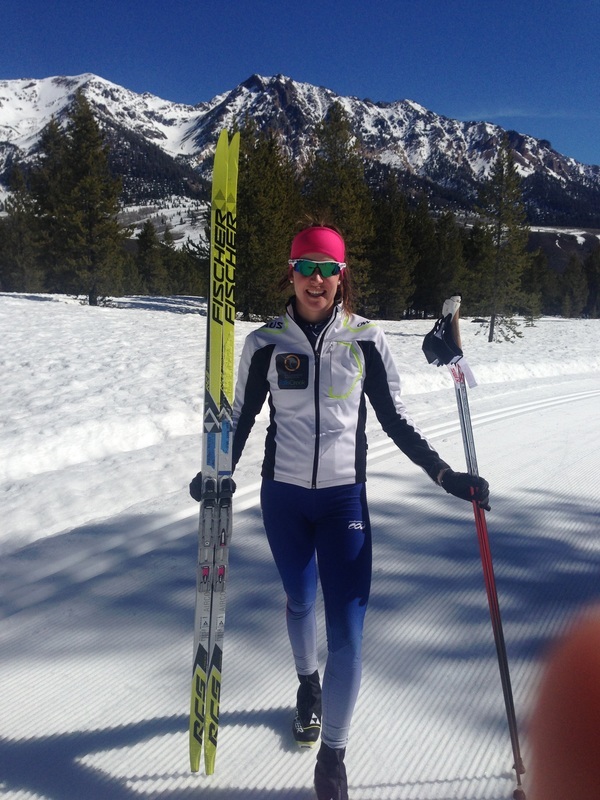 Following my week in Truckee CA, I had my last set of races, USSA Spring Series at my home away from home, Sun Valley. The first race was a 10km classic; I decided to give this race a miss as I was still recovering from Junior Nationals. The second race was the skate sprint, I was feeling good, but the snow was rock hard, and very hard for me to get any power out of my legs. I missed out on qualifying for the senior heats, but as a junior I was able to race in the junior heats. I was dissatisfied with my rank in 7th place, but I knew I could only move up. The sprint course of the day was one I had raced many times and I knew my strategy, even though I was disheartened by the qualifier I had the upper hand mentally as I knew exactly what moves I would pull out. For the first round I finished in 1st place, putting my plan in action. As there were fewer juniors there were only 2 rounds. Next up was the A final. I was feeling good despite the tight turn-around between rounds. My plan was going well until the final straight, when I was about to make my move I slipped and fell. It was too late for me to catch up so I came in 6th postion. I was disappointed with my outcome but I had a great looking bruise on my leg that swelled up straight after. So at least I came away with something to show, just maybe not what I had originally intended. Finishing the season with a bang! 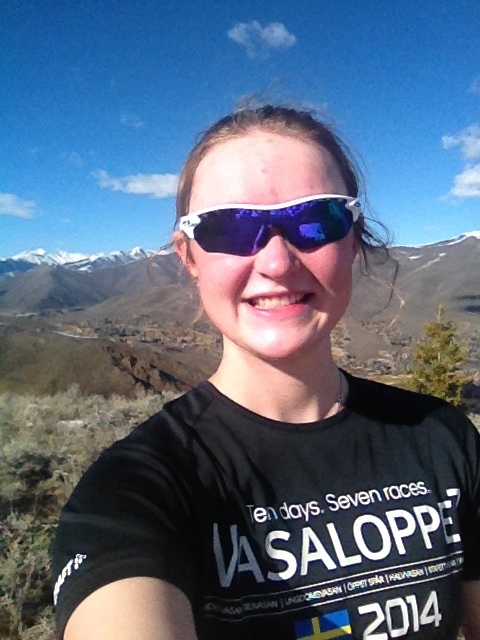 See below for a late reposting of Casey Wright’s last post from the Lake Mountain Ambassador Program weebly blog (originally posted on March 28). I have now been back in Australia for a week and have been loving the opportunity to catch some summer weather before we plunge into another winter. Before I made the marathon journey across the pacific back home I had one more set of the races to complete before my season was officially over. This year the final races of the US racing series (the USSA Super Tour Sprint Series Finals) were held in Sun Valley. After returning from Sweden I had about 2.5 weeks to recover and prepare for the races. During this time we experienced some unseasonably warm weather and as a result the snow conditions deteriorated. Despite the fact that the snow was melting before my eyes, I did not miss the opportunity to soak up some Vitamin D, and as such spent almost every session skiing/ training in a T-shirt. So before you click the link and head to the blog a word of warning, this one will be fairly photo laden. However it’s hard to spend a week in the Arctic and not go photo crazy. A few of these are my pics but all the photo genius and praise needs to go to Seth Adams, one of my companions for the trip. He does great work and you should check out his blog here! 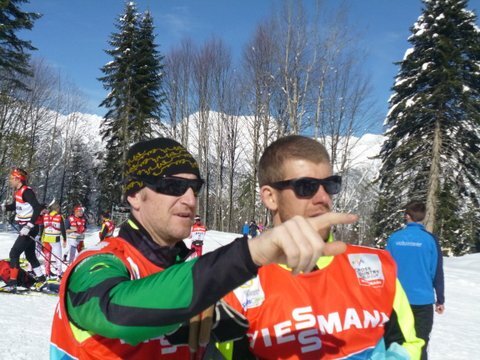 The Australian Cross Country Ski Team is pleased to announce an assistant coaching opportunity for a recently trained coach looking to gain high level coaching experience. In June and July national team camps are being held and one development lucky coach will be given the opportunity to attend one of these camps as an observer and an assistant coach. 2014 recipient, Rob Jones had this to say about the experience. ….These two coaches not only allowed me to actively participate in the running of the tests, but gave me in depth knowledge as to what I should be looking for and how these results can shape an individual’s training program……Coming out the other side of the camp though shaped me as a coach, giving me a drive to continue as a coach in the sport to develop my skills further. This year Rob returned to the AIS as a coach for the Australian Junior Development Team Camp! The successful applicant will be able to attend one of the following camps. Coaching would be alongside AUS XC head coach Finn Marsland, working with athletes from the World Cup and Continental Cup teams. The coach would get to observe national team physiological testing protocols, assist with running of the tests and be involved with interpretation of test data with the head coach and athletes. Accommodation and meals at the AIS would be provided for 3 days, plus agreed reimbursement of travel money. Coaching alongside national team coaches, working with athletes from Junior/U23 and senior teams. The coach would get to observe national team training methods, assist with technique analysis and management of training sessions, and be involved in daily interaction with team coaches and athletes. Accommodation and meals would be provided for 3 days at the YMCA Howman’s Gap. Plus agreed reimbursement of travel money. Eligible applicants are any person who has attended a cross country Coach Level 1 or 2 since 2011. EOIs should be no longer than one page and outline: level of qualification (coach courses attended); coaching experience; which camp they would like to attend; coaching goals; and responses to the following questions: Why would you like to attend the camp? What do you hope to gain from attending the chosen camp? Each applicant will be assessed on an individual basis and the successful applicant will be the one judged most likely to continue to contribute to cross country skiing in Australia through their coaching. The successful applicant will be notified by Friday 29th May. Expressions of interest need to be emailed to the National Coaching Director by Friday 22nd May. 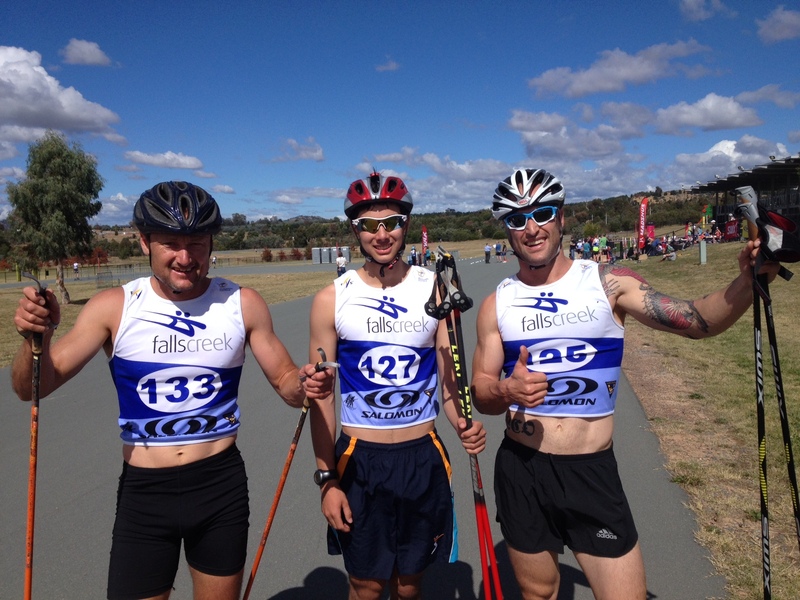 The 2015 Australian Rollerski Championships were held at the Stromlo Forest Park last Saturday April 11. A record 42 participants took part in the competitions, which included a Freestyle Sprint and a Freestyle Mass Start Criterium. Australian Junior Team member Damon Morton won the open men’s events after close competition from his father Cameron Morton and Canberra local Daniel Sarri. Former Slovenian National Team member Barbara Jezersek won the women’s events ahead of Australian Junior Team skier Darcie Morton. 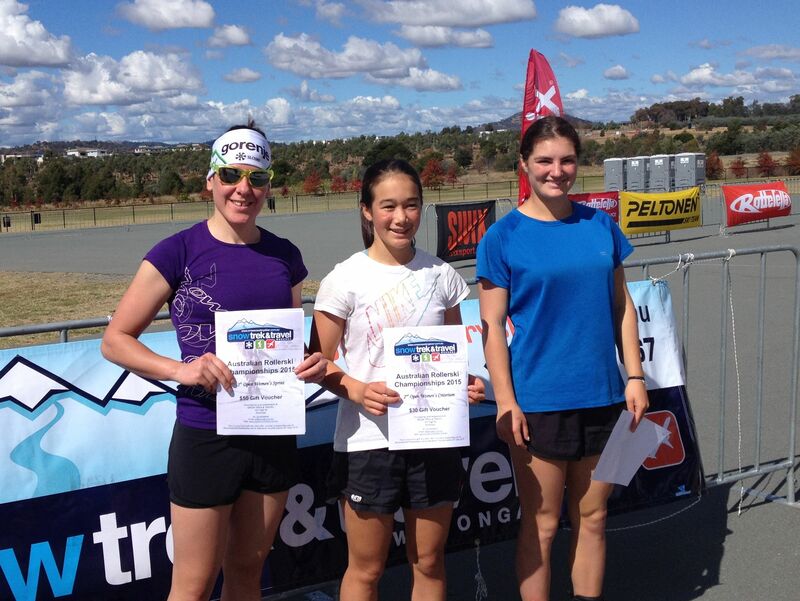 The event was proudly sponsored by Snow Trek & Travel from Wodonga, Australia’s cross country skiing specialists. Cameron Morton, Damon Morton & Daniel Sarri.